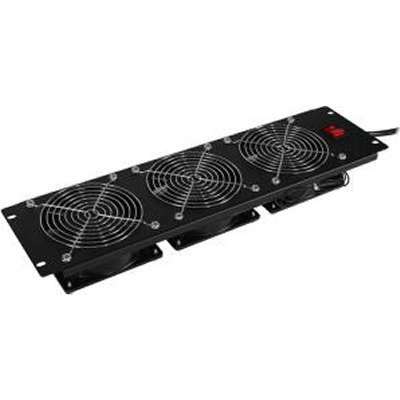 The CRA12003 Carbon Rack Fan improves ventilation in rack enclosures. The fan panel has (3) 208 Vac high performance fans and a 6.5 ft power cord with IEC-320 C14 input plug. Mounting hardware is included. The CRA12003 is covered by a 2-year limited warranty.